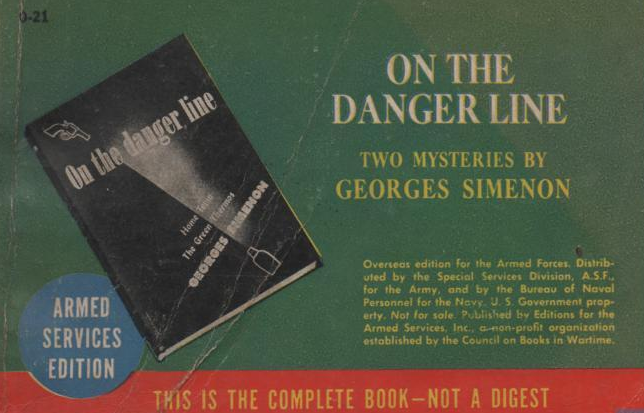 American soldiers serving overseas during WWII were offered a rich selection of compact paperbacks. Destined to help them dodge the tedium of war, they were designed to fit in their pockets. 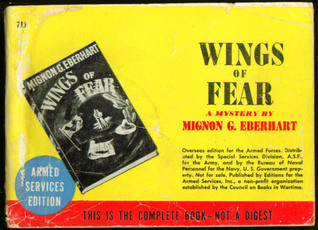 The Armed Services Editions books were printed at a cost of 6 cents a volume and distributed for free from 1943 to 1947. This is a landmark in the history of mass market reading. 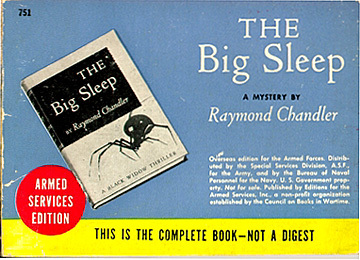 The mention on all but a handful of the covers that “This is the Complete Book—Not a Digest” is a reminder that paperbacks were at the time still new, and that readers had to be reassured that these were not abridged or condensed books. 123 million books were printed as part of this programme, representing 1,227 different titles. Only a minority of these titles were Crime Fiction. The purpose of the programme was educational as much as recreational. It would be interesting to study more closely what considerations presided over their selection for inclusion by the Council on Books in Wartime. Were topics, settings, ideology discussed there ? The choice of some titles, like Maupassant’s Mademoiselle Fifi, a tale set during the French-German war of 1870, and which presents unfavourably a German officer seem not only based on its literary merits. And what about Crime Fiction? Was there an awareness to distinctions between different types of Crime fiction, some being deemed more “demoralising” and critical than others? Simenon’s book (above) actually comprises two short novels: Hometown and The Green Thermos. The latter is a translation of Le suspect (Gallimard, 1938). It features an anarchist, who discourages a terrorist attack ; anarchists are arrested. Edgar Poe, James Cain (The Postman Always Rings twice was printed… twice), Gardner, Marsh, Eberhart, Ellery Queen, Craig Rice and Patrick Quentin all feature here. So does Chandler with both the Lady in the Lake and The Big Sleep (its first edition had been published in 1939, in New York, by A. Knopf) . Gardner has eight of titles included in the collection. Hammett, the communist, by contrast has none. 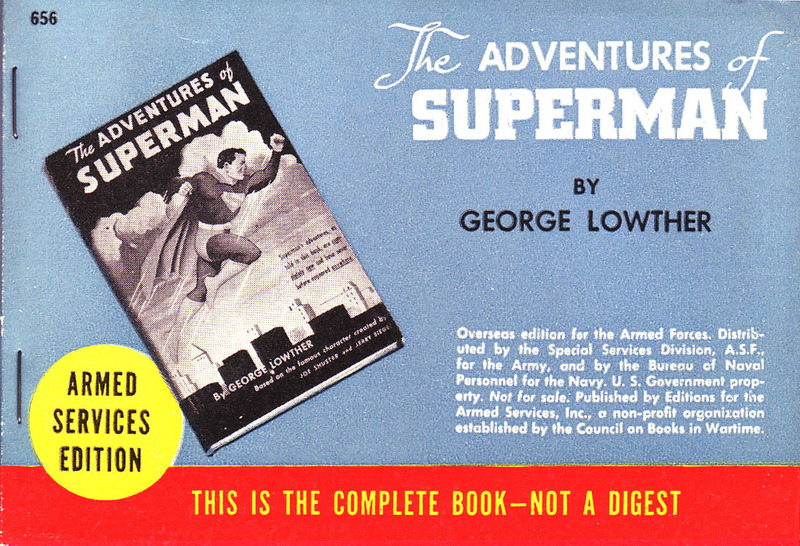 One of the most popular titles in the Armed Services Editions, and certainly a culturally very telling instance in the context of the defeat of national socialism is a novelisation : The Adventures of Superman. The book, written by George Lowther, is based on the comics by Siegel and Shuster. Manning, Molly Guptill. When Books Went To War. Houghton Mifflin Harcourt, 2014.